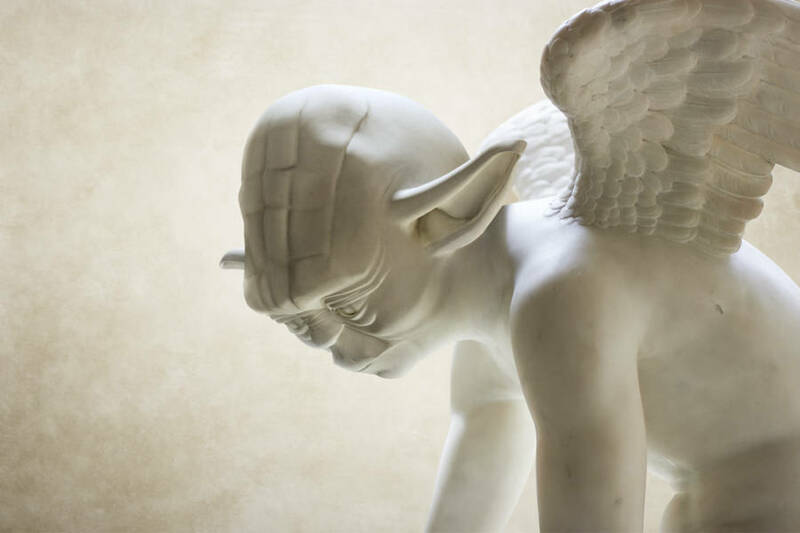 Travis Durden is an artist who is passionate of antic sculpture and contemporary culture at once. 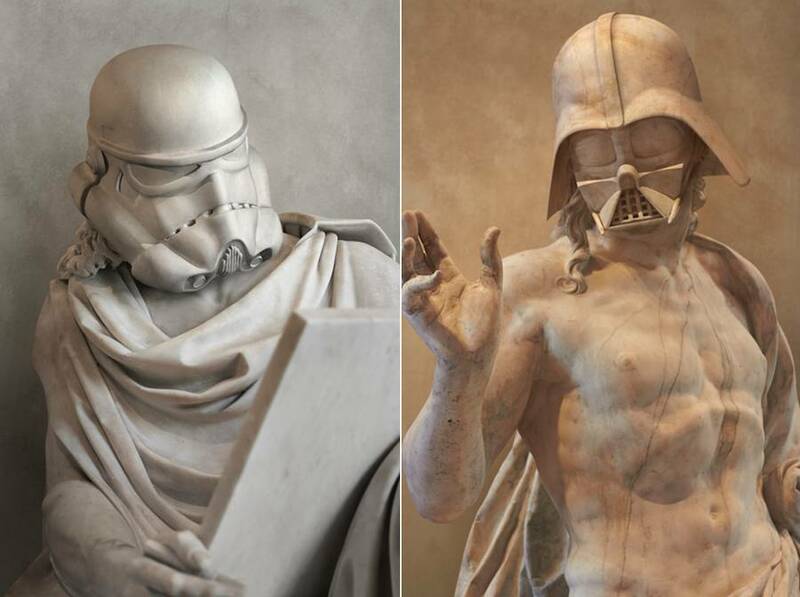 He manages to combine these two fields, a priori opposite, in his series of greek sculptures showing characters of the Star Wars‘ trilogy. 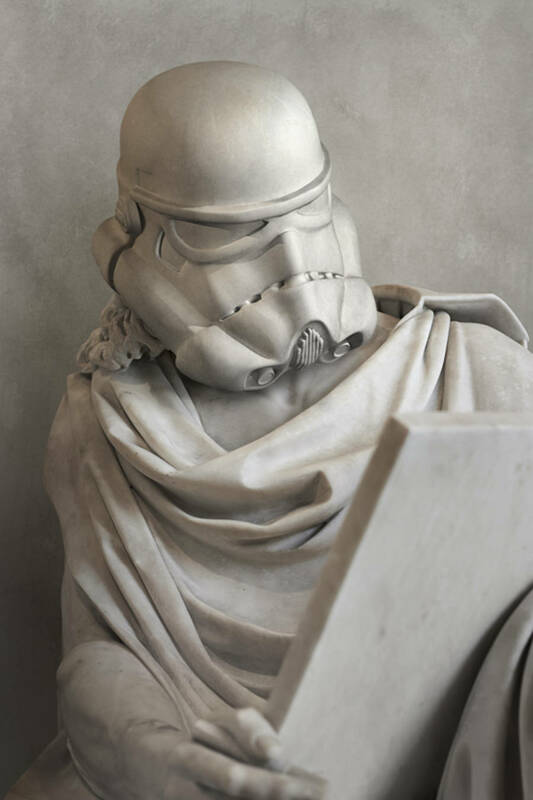 The naked or veiled bodies are built with the head of Yoda and masks of Darth Vader and a Stormtrooper. 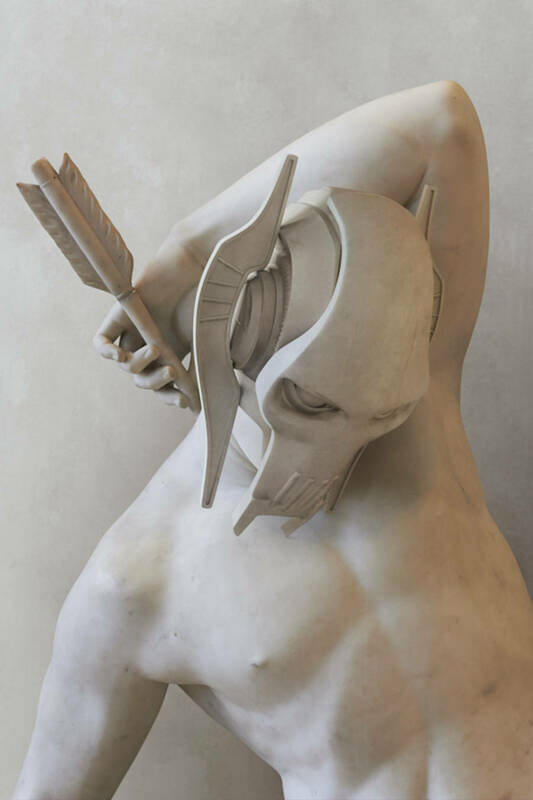 For this, he took pictures of statues exhibited at the Louvres and asked a 3D modeler to design the heads. 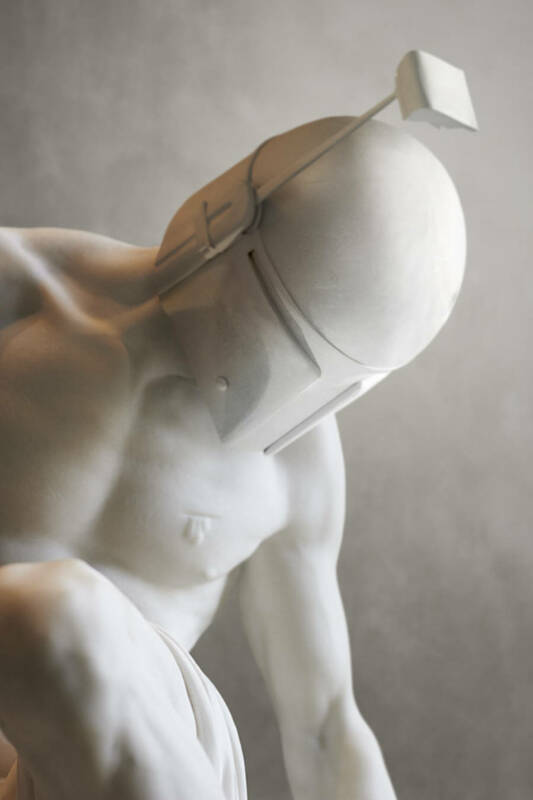 With a retoucher, he integrated the heads to the bodies by creating a better texture in order to make the viewer believe that these pieces are sculpted in the one and only marble block. Nice work! Thanks for sharing. 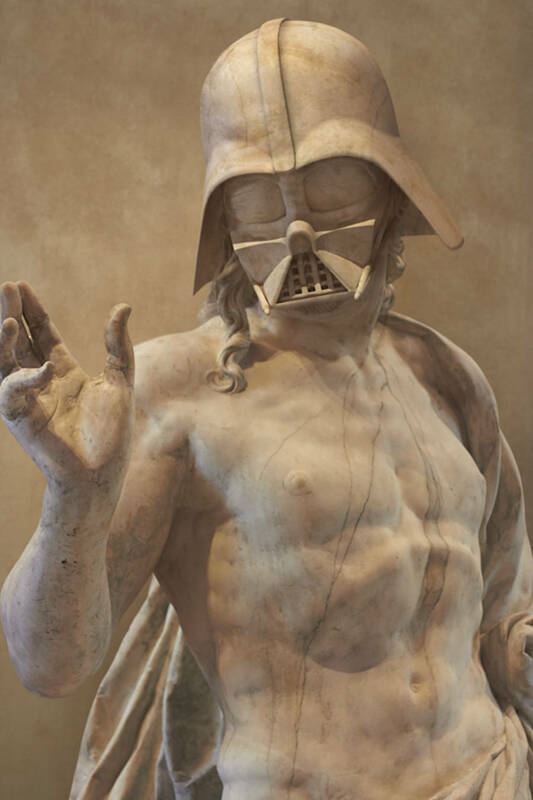 For the record, though, you totally misspelled Darth Vader.